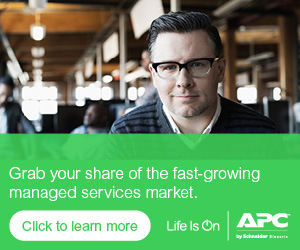 APC by Schneider Electric is happy – and proud – to announce we have achieved Cisco certification for most any size NetShelter SX with Shock Packaging cabinet to ship loaded with Cisco UCS IT gear. In a nutshell, this means it just got easier for partners to comply with just about any customer request for Cisco UCS converged and hyperconverged infrastructures. This builds on our longstanding Cisco alliance and our announcement of last year when the most popular size NetShelter SX achieved Cisco certification, as detailed in this earlier blog post. 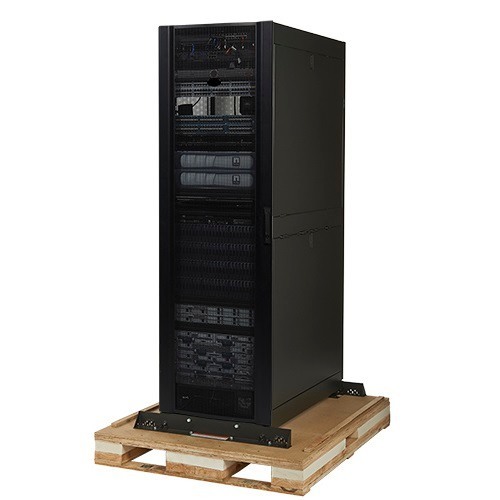 While that 42U, 24-inch wide, 42-inch deep rack was the industry standard for the last several decades, now some customers are looking for taller racks that hold more IT gear, or far smaller ones for micro data centers. Now we can accommodate requests for NetShelter SX racks from 24U to 48U, 24-30 inches wide, and 42-48 inches deep. All include Shock Packaging and partners can rest assured any rack they choose is Cisco certified. For our initial test last year, we loaded a NetShelter SX rack with some $750,000-worth of servers, storage and networking gear, wrapped it in our Shock Packaging – then proceeded to beat the daylights out of it. We subjected the 2,500-pound package to serious vibration, dropped it, and slammed it into a wall. The idea was to simulate the worst that could happen to the rack in shipping. When it was all over, all the gear inside was functionally and visibly just fine. This time, with increasing requests for taller, wider, and deeper cabinets to be certified, we continued our work with Cisco to deliver a solution. We conducted several tests with various size racks at a third-party packaging testing facility. Monitoring what happens to the rack during the shock and vibration testing, we analyzed that data, reported back to Cisco and successfully extended the certification. For partners, this certification will save significant time, effort and money. Previously, if you wanted to use a NetShelter SX rack other than the standard size, you had to have it tested individually to Cisco’s satisfaction – or alternatively integrate the rack, then remove all the gear and ship it separately – a timely and expensive process. Now all that goes away – we’ve done the testing for you – you are free to ship away! Today, if you have a client who also wants a custom-size rack, it’s no problem under the new certification. Order a NetShelter SX rack and it’ll come pre-loaded with whatever PDUs, UPSs and NetBotz security and environmental monitoring devices you specify. Load in whatever Cisco UCS IT gear the customer wants, wrap it all in our Shock Packaging, and it’s off to the customer. Once on site, just unwrap and plug it in. In the past, we know some partners had to ship the IT gear separately from the rack and put it all together on site. So long as you use NetShelter SX racks with Shock Packaging, those days are over. Your customers will be wowed by how quickly they can get up and running when their rack arrives fully populated and ready to go. Think about what that will mean for edge computing sites, for example. With customers rolling out dozens or hundreds of such sites in some cases, the ability to ship a fully configured rack to each site will be a godsend. In fact, that’s how this latest round of certifications came to be. A partner came to us with a need for a large quantity of racks of a non-standard size for a customer’s Cisco UCS implementation. It was worth the effort for us to go through the certification process. Similarly, we’re now poised to do the same for the NetShelter CX racks, the “server room in a box” models that are suitable for office use or the just recently released NetShelter SX3K high strength rack platform, which will be very useful in very heavy or dense deployments such as storage or fully loaded tall racks.. We’re just looking for an opportunity. So, if you’ve got a customer that may need a large number of NetShelter CX or high strength racks for a Cisco UCS implementation, by all means let us know – we’d love to get those platforms certified too. To learn more about Cisco certification, check out this podcast from one of our product managers James Kummer who led the certification effort , as well as our flyer on NetShelter SX with Shock Packaging and why they’re such a great fit for Cisco UCS.